How do you teach your kids the True Story of Christmas in the midst of all the talk about Santa Claus, candy canes and shopping malls? 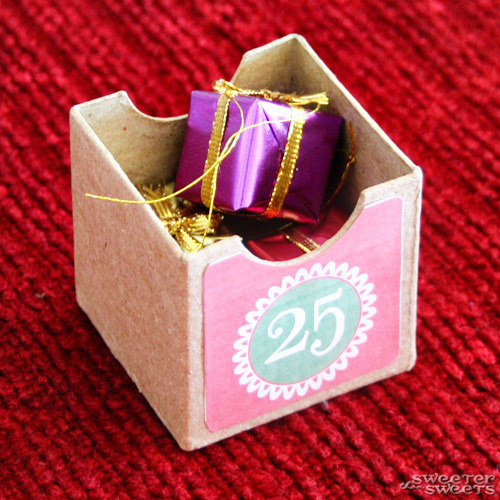 How about making an advent calendar where instead of eating a piece of chocolate, kids open a box to find a Bible passage and a piece of the Story of Christmas? This tutorial is going to walk you through what to put in your advent calendar, and almost every piece of the Story is going to be things you already have around your house. This would also be a great craft to do with a group (MOPs, craft night, family gathering, etc.)! The best part is that this is a hands-on learning experience to help kids remember the different parts of the Story... You'll teach your kids the true Story of Christmas without spending much, if any, money. They won't want to wait to see what's in the next box! Each day you'll open a box and read the Bible verses related to the Story. Bible verses or references can be in the box with the item or kept separate. 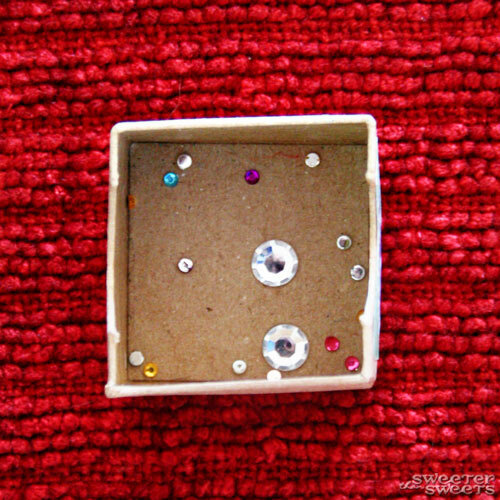 Explain how the item in the box relates to that Bible passage to give kids a hands-on understanding of what the Story is all about. If you also go over the previous days' verses each day, on December 25th, you'll read the entire story all the way through. I chose to go through the Christmas Story mostly in order from Matthew 1-2 and Luke 2, with a few relevant Old Testament prophecies interspersed. Feel free to rearrange the pieces of the Story to your liking (another way to do this is to find the baby Jesus on the 25th instead of the gift boxes). All verses here are from the New International Version. I added [brackets] to give better context with names. Now on to the Greatest Story Ever Told! And that is the True Story of Christmas, the one that we need to teach our children. Hope you enjoyed this project as much as I did putting it together. May God be glorified this Christmas and every day! This is simply fabulous! Thanks a ton. Though I have already purchased a Lego star wars one but I'll definitely make this. The kids would get to learn what Christmas is all about and this is absolutely necessary at this hour. Thanks again. 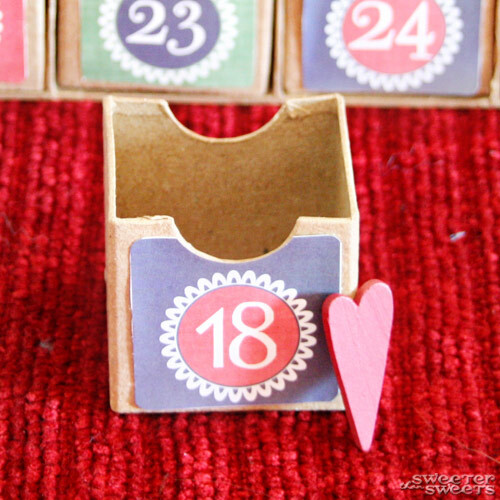 What an adorable Advent Calendar!! 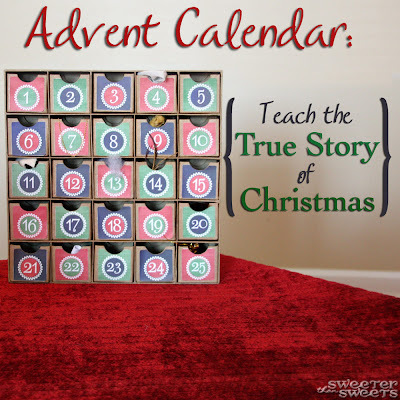 So many of the advent calendars from the store don't really focus on the story of Christmas. I love this! This is so awesome! Thanks so much for sharing! I'm bookmarking this to use with my future kids! Love it!! I agree! 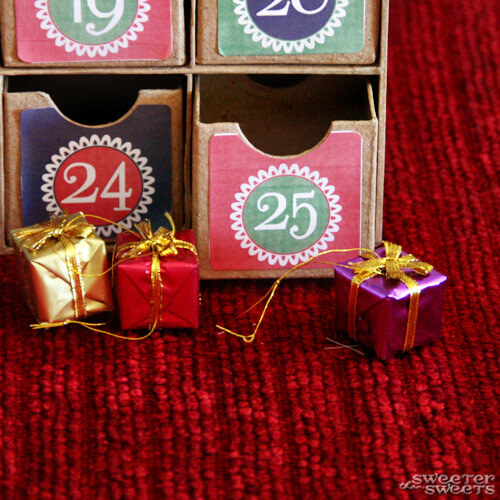 An advent needs to be about the birth of Jesus! Thanks for the download! Would love for you to share at our Special Christmas Soiree! Oh I forgot! I would love to know where you got the holder and small 25 boxes at!! I should've written in the original post... 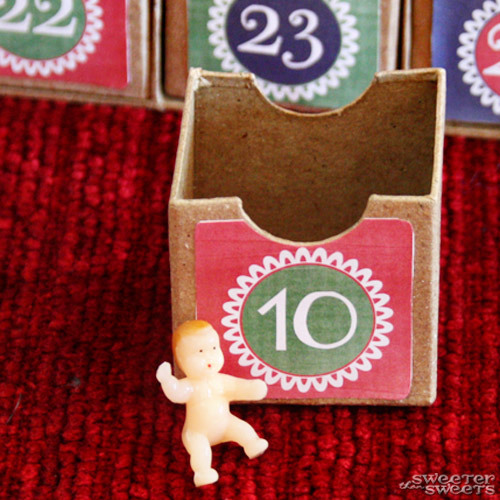 I got the advent calendar itself from Hobby Lobby. I think it was $14 but you can use the 40% off coupon online to save some money. They don't sell it online so hopefully you have a store near you. 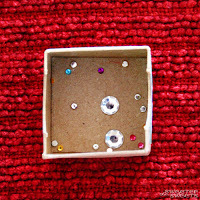 Here's a DIY version for the crafters! As always, I am super impressed! 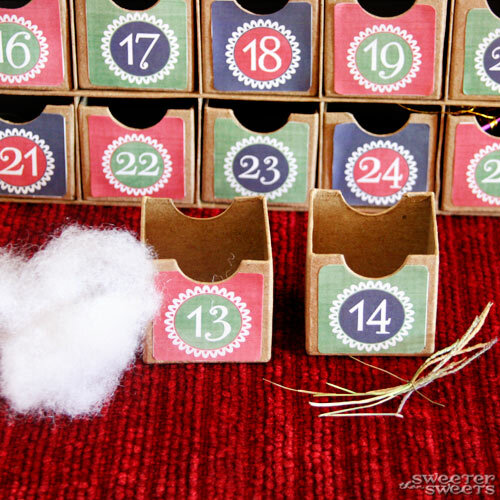 Last year was the resurrection eggs and this year an advent calendar! Beautiful idea, thanks for sharing!! Please come by and grab a button. Thanks! This is awesome! 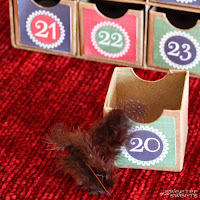 I didn't grow up w/ an Advent Calendar but have loved what I've seen in blog land so I have decided to have one for my son. So in my brainstorming I realized I don't want his Christmas to be about gifts big or small so I decided that with each piece of candy I wanted a biblical verse or piece of the story for each day....this is going to help me so much Thank You! Visiting from Creative Blogger Party Hop....Also your new follower! Thank you so much for sharing this! As a mother to two young toddlers I truly appreciate and relish in any truth I can teach them on the true meaning of Christams and the amazing, wonderful gift we were given through the birth of our Savior. Thank you and Merry "early" Chrismtas to you and yours! Hobby Lobby!? 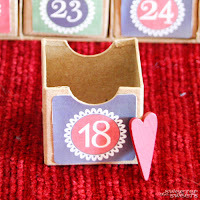 The one place I didn't look for that type of Advent Calendar! I looked everywhere, finally found one amazon... but it is taking forever to get here! Might go buy one at Hobby Lobby tomorrow and just use the one I ordered for something else! 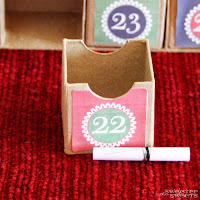 thanks for such a wonderful idea, do you use a template for the front of the boxes? This is the first Christmas my Mom has been in a nursing home. What a wonderful Advent calendar to make for her! Thank you so much for this fantastic idea! This is fabulous, thanks so much for posting and the great pics. Thank you, thank you, thank you!!!!! I have been looking for something just like this for years! I never could get the right combination of verses and symbols to make it just right. I think I already have almost all of the items - just in time to make this before Dec. 1! Thanks so much for sharing! I love this!! Great work!! What a lovely idea - thanks for this post. 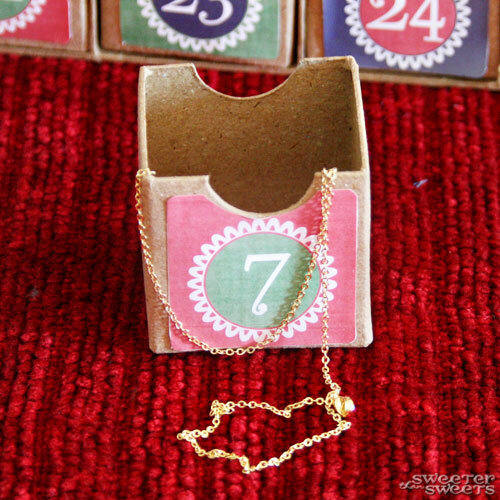 Glad you're all liking the Advent Calendar! Roxanne, I used the free printables from Skip To My Lou and altered them a bit with Photoshop. 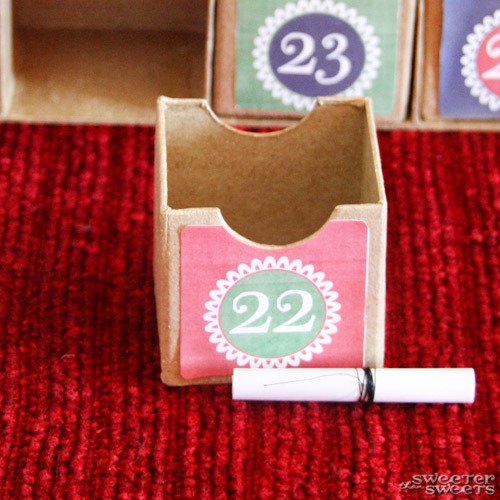 I'm going to write another post with some ideas on how to make an actual advent calendar. Sorry I didn't include that the first time around! This is wonderful! I've been looking for something with scripture and not candy, toys, etc. This is excellent. My daughter is putting together a box now. I will pass this on to her. Thank you. What an AMAZING idea. 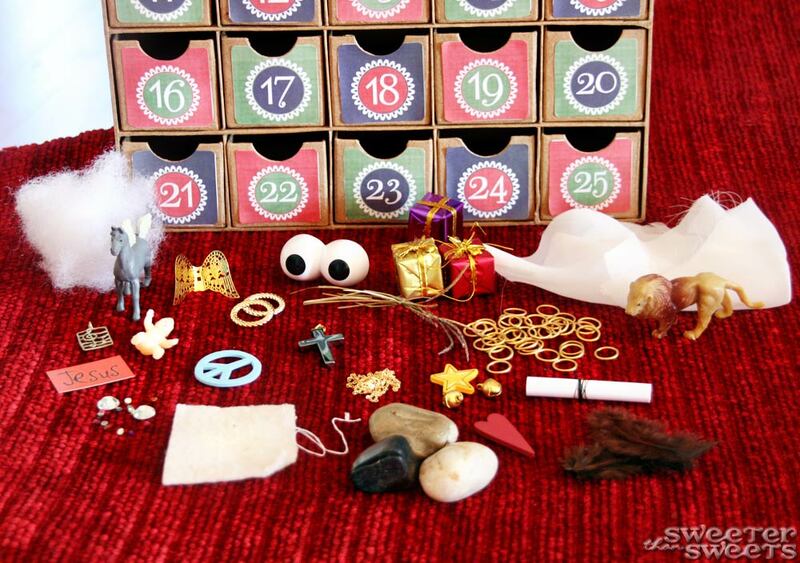 Love how you incorporated all of the little trinkets/gifts into the story. Thank you so much for your inspiration. I love your blog. I'm your newest follower. Thank you so much for the hard work that went into breaking the verses apart into each day. I've been trying to put one together, but couldn't quite figure out how to order the verses properly. My baby isn't quite old enough for the little treasures yet, but I will be making an advent with just the verses to read before bed...and for me to center myself in these hectic times as well. I'm a new follower, and I also just started my own blog. I'll be posting about my advent with a link back in a few days, hope you can check it out. The calendar was in the Christmas crafts section of Hobby Lobby. I bought it several months ago when they first put their Christmas stuff out and it was with the kid-type crafts. FYI, it comes blank (all brown) and you have to put your own numbers on it. I have a post to write for tomorrow to give more info on the numbers! Hope that helps! I found your idea on Pinterest and fell in love with it! 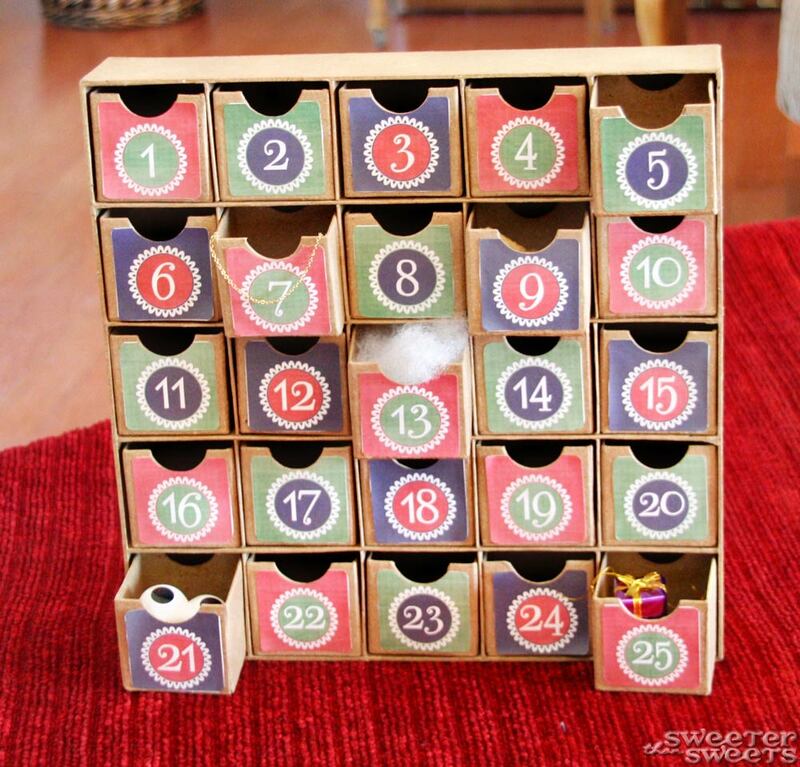 I have an advent calendar with pockets and I didn't want to put candy in it. This is PERFECT! Thank You! What a wonderful idea. Thanks for sharing!! LOVE this! Very true christmasy. SO cute! 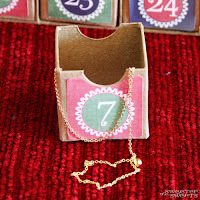 I'm hosting an advent link party and would love for you to join! That is a truly beautiful idea. You are so kind sharing this and making it so easy for us all to do this meaningful Christ-centred activity-thank you! Thank you again for a wonderful idea! ps- feel free to stop by my party and link up! 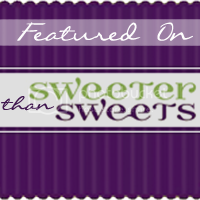 I'm your newest follower and would love to invite you over to my "Create and Inspire" linky party! I love this! I'm trying to get a jump on the holidays this year so that I have time to organize projects like this. Such a great idea! 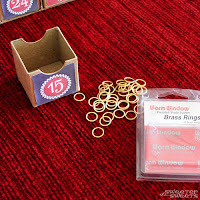 Great ideas and thankfully I have nearly everything in my craft supplies or the kid's useful box of bits. Thank you. Thank you so much for doing this post - it is WONDERFUL! I saw it last year and bookmarked it. I am hoping to get it done in the next few weeks to kick off our December. This is wonderful!! 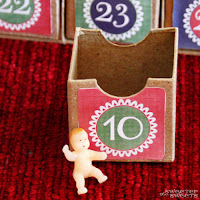 I am going to use this with the advent calendar I got this year. Thank you!! Thank you for your creativity and the work and effort you put into this project! I am soooo excited to attempt to put this together for my family this Christmas...the only regret that I have...that I didn't find this sooner...would have made one for my sisters and in-laws who still have a 12 year old at home. That's ok though as I will just plan ahead and make them up for next Christmas! Any way to teach about Jesus Christ through out the year is VERY MUCH needed in this day and age where our world revolves around "people" instead of our Lord and Saviour who gave His all for us! Thank you for helping us add another tradition to our family! I just started putting this together, after reading your post and becoming inspired. I happen to have a tiny, tiny nativity set (had it for years, never used it, though)that fits into the pockets of our Santa Advent wall hanging! So, many of my days are a bit different than yours, (for example, the last 3 days are the kings; a shepherd, instead of a shepherd's crook, etc.). Having the verses broken up and ready to use was a wonderful blessing! Just wanted to thank you for sharing this idea and all your hard work! Another "thank you". 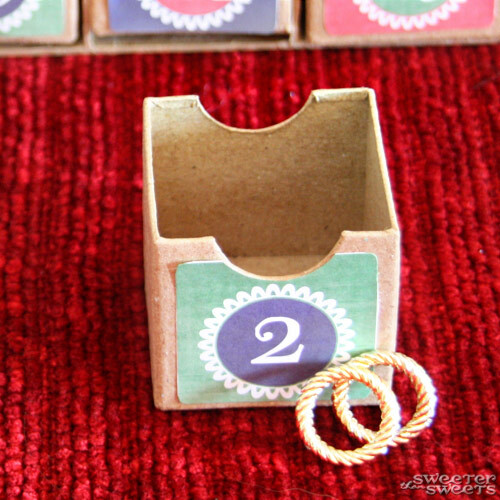 We incorporated your symbols and verses into tiny gift bags hung from twine. 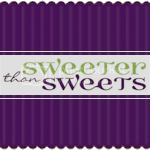 We are going to also allow our kids to munch on candies as we read the verses. 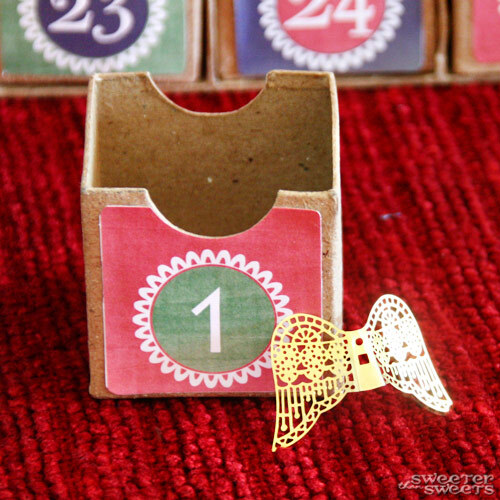 I hosted a "mom's only" cookie exchange last night and many moms wanted to know about the Advent calendar, so I "pinned" it and emailed the a link to your blog. This is awesome! Great idea! This year we are using clip art pictures for most of the items, I am having back surgery soon and can't get out and about to find the things we don't have. Thank you. I wanted to do something a bit different this year, since the oldest is getting a little hung up on the present thing. This is AMAZING! 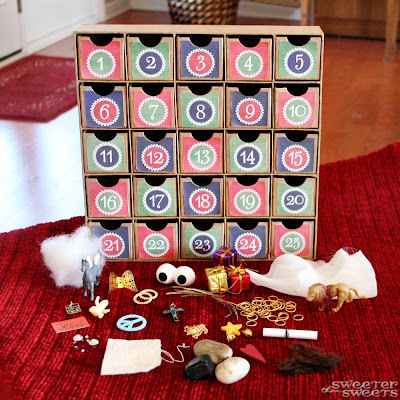 I have a very similar advent calendar (from Making Memories, found at Target several years ago) and I've decorated up the outside and was just thinking about what to put in the little boxes. I don't have time/money for candy or treats right now and wasn't sure I wanted to commit to an activity every day (who knows what time/$$/weather or whatever will allow on particular days?). This, though, just means digging through the craft stash. I like! Thanks for this post. I adapted it a little bit and made a printable. I linked back here to your blog. I hope that is how it's done. This is a first for me:) I loved it and we are planning good things for it at our church. Check it out at my blog www.heritage-familyfarms.blogspot.com Thank you again! This is incredible! I'm using this calendar for my Sunday School Classroom! I teach a PreK-Kindergarten class and I know they will have so much fun with it! Even more fun than I had with my niece and son searching through the house to find all of the knick-knacks! HOPEFULLY, they still carry structures like this at Hobby Lobby, even though it has been a year since you posted this. If not, did anyone have any luck finding anything similar at a Michael's? Thank you, this is exactly what I have been looking for and will teach my children something about the values behind christmas, not just the sweets! Thank you SO much for sharing this! We just started day one and my daughter is SO excited... but not as excited as I am. This is amazing! 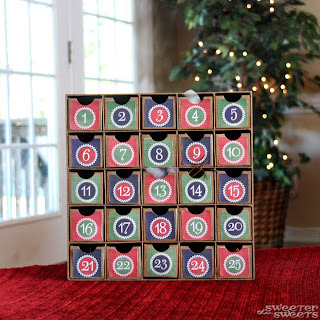 I'm doing this for my families advent calendar this year! Been wanting to get away from chocolates and lollies in the advent calendar to something more biblically based for a while now but haven't found the right thing for it! This is perfect! This is exactly what I've been searching for! An advent with real meaning to teach my 4& 6 year old boys what Christmas is truly about in a new way. Thank you thank you for sharing your great ideas!! This is so wonderful! I just finished day 3 with my 3 year old, and the Christmas story is really coming alive for her! I cant wait for tomorrow!! 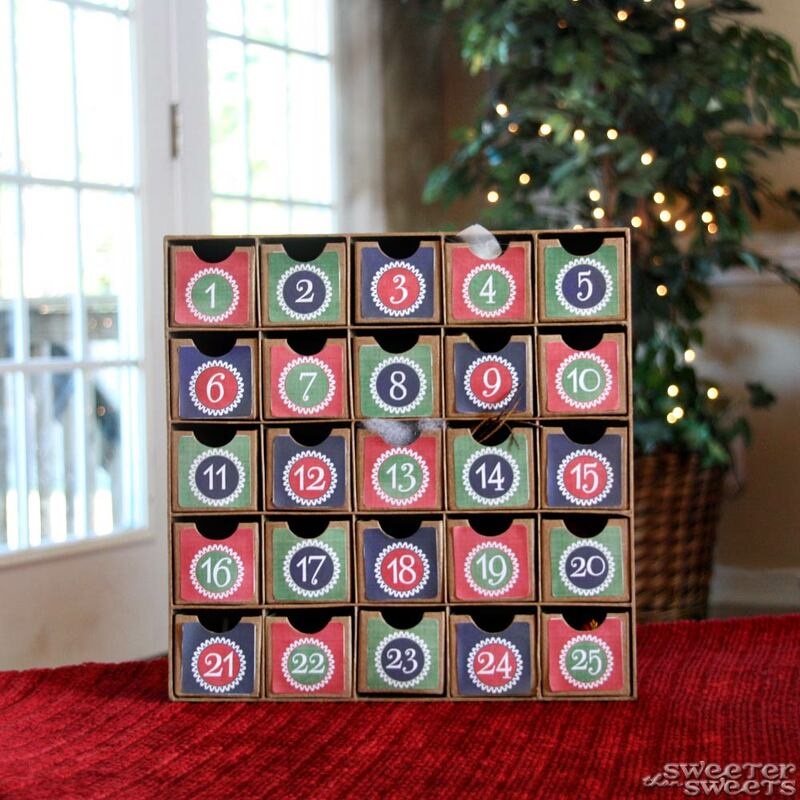 That is such a wonderful advent calendar! I love it so much, so cute and it's really nice of you sharing those details. Have a great holiday. Wow, very creative of you. I really liked your work. There are many ways to tell kids about the true meaning of christmas, your idea is one of them. Plus! including Christian Christmas Card Wording Ideas to cards is also good. This is AWESOME! I'm teaching my 4th grade Faith Formation class to read the Bible & understanding how to find book, chapter & verse. I used your idea to make it into an actual calendar. Each day has a picture of the item you described, Then I attached a second page also with printed calendar with the verses in the box. So when they "open" the calendar they will see the corresponding verse & hopefully find & read the verse from their Bibles! Hi, thanks for these wonderful ideas!!! 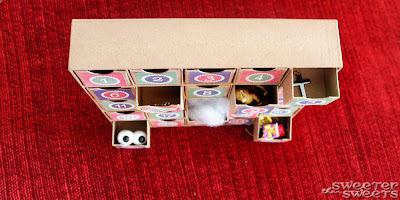 I am using the bulk of it to make a sensory box for my younger children, we can pull it out a few moments each morning and read more of the story! I am trying to do less and take it easy since we've had a horribly rough year, I had surgery, and my energy is only rebuilding slowly. I was searching for something manageable and I love your ideas!!! God bless you! Thank you for sharing your idea! Keep rocking ur blog is amazing . Hello! I loved this. Would you think a two year old would understand and follow the story? Regards from Brazil! The Star of David is nothing Catholics would use, for it is an occult symbol and does certainly not represent the lineage of David. It's no coincidence the antichrist talmudic kabbalistic Jews are using it all the time. Thank you so much for taking the time to prepare and share this. I've found it really helpful as I've made something for my children this Advent. I hope you rediscover the wonder of the season this year. Have already taught my twins little ones the true story of Christmas who are recently enrolled in one of Phoenix kindergarten. Glad to know that their teacher has been telling the same story and they are liking it. Happy Ramadan 2017 Images, Ramadan 2017 Wishes, Ramadan Images, Best Ramadan 2017 Wallpapers Messages SMS For Ramadan 2017 Celebration, Free Ramadan wallpaper, ramadan quotes download. Thanks for sharing real story of Christmas. You can buy metal holy cross here. Its so awesome blog,,, loved reading it ,,, please check our blog too on happy birthday sister thank you so much for sharing. Anulom is a Government approved Doorstep service provider. We combine Technology, Government’s latest E-initiatives and doorstep service to give a hassle-free experience. We make regular compliance like Rental Agreement Registration extremely easy and convenient. What’s really great is that you get these services at your doorstep at low and transparent charges! Just like this awesome Christmas blog, We have a wonderful Blog but not regarding Christmas. It is related to Valentines Day 2019. As we know that Valentines Day is on every year of 14 February. We set a blog in which we have a wide range of these categories and we provide free images and valentines cards and much more please do visit and feel free to download anything you want. >: Valentines Day Poems Of love and much more. I found a very Beautiful Collection of Merry Christmas Greetings. Thanks admin There is an amazing stuff. I have found best ideas and christmas greeting for Christmas 2018. 90 years old and Veteran's Day!